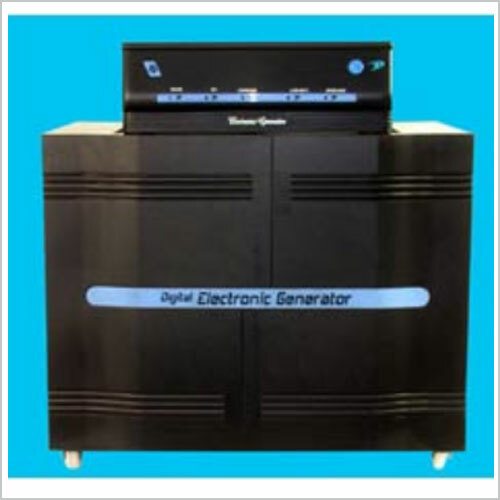 We are able to provide a prominent mechanism for the Inverter trolley. Our storage facility is able to provide the much needed moisture control mechanism. 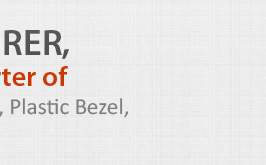 We have a state-of-the-art packaging mechanism that has been customizable to the more global markets. The flexible mechanism of payment modes have reduced the prices of the shipments. There are different power ratings for the products. 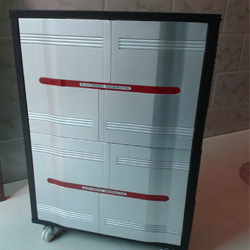 The main product includes Plastic Inverter Trolley. 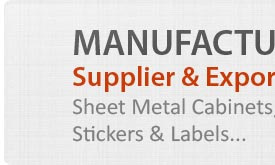 We are able to provide a discount on bulk products. Our Smart Tall Tubular Trolley Products are provided in a wide range, which is highly acclaimed for their durability and quality. Folding concept for easy transportation & assemble. Note :- Distributors are entertained on special discount. 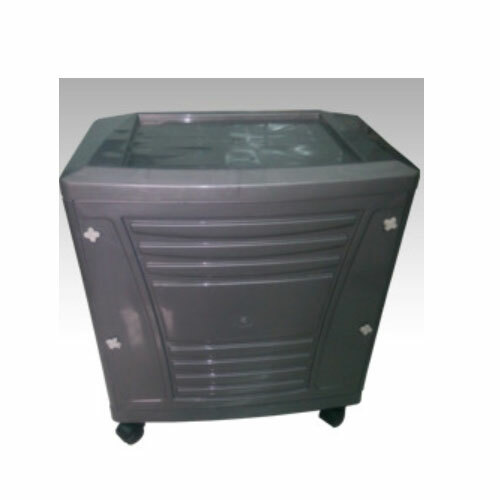 Our Sheet Metal Double Battery Inverter Trolley Product is highly acclaimed for its durability and quality. This trolley is provided with wheels so that it can be easily moved from one place to another. 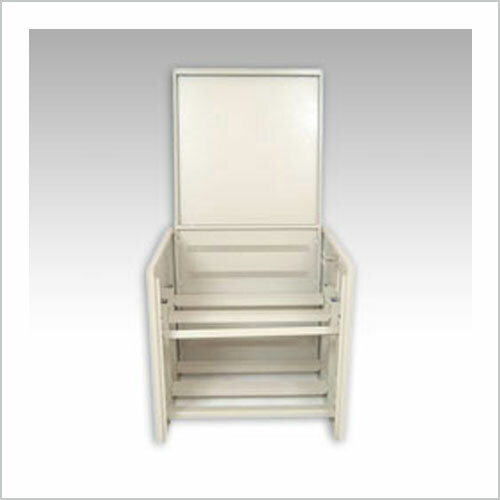 This Cabinet is well designed by the expert engineers and efficient workers of the team. Life of this product is 7 years. Wheel weight loading capacity 250kg. ABS Plastic Front in Silver color. All metal parts in black powder coating. Our sophisticated range of Single Battery Inverter Trolley is the result of our stringent quality testing and rigorous R & D activities. Trollies made by us are reliable both for domestic use as well as for commercial purposes. Due to the high quality of the raw material used, our range of trollies is highly appreciated for its long life. 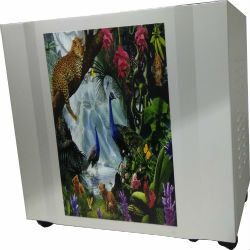 Online UPS Battery Cabinet range offered is offered in finish specifications including height of 175 mm, width of 144 mm and depth of 375 mm(Changeable). These battery cabinets are suitable for double battery systems for 650 VA UPS and are constructed using 1 mm CRC Sheet Metal that provides in them long lasting durability. These trolleys also assure of easy installation & low maintenance and are suitable to be used in areas like factories, offices, warehouses, retail outlets and other locations. Featuring elegant finish appearance, these are also quick to assemble and offer desired space in front & back for convenient battery installation.